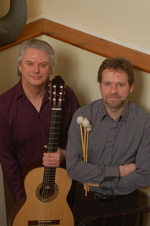 The English Guitar Duo is a new collaboration between the two experienced guitarists Raymond Burley and Arne Brattland. They have previously worked together in various ensemble projects such as the London Guitar Orchestra, Omega Players, Lyric Guitar Trio and the Rodrigo Guitar Trio (formerly the New Pro Arte Guitar Trio), some of them resulting in acclaimed CD recordings. The English Guitar Duo is exploring a wide range of repertory, including their own arrangements of music by Albeniz, Granados and Grieg. 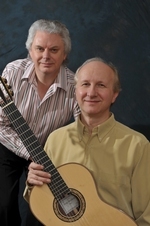 As a duo they have so far given concerts around the UK, including guest recitals at several guitar events. They are featured in the memorial DVD to composer John Duarte and are currently preparing a new CD recording. Arne Brattland was born in northern Norway. He studied guitar at the Norwegian State Academy of Music in Oslo and later studied privately for several years in London. 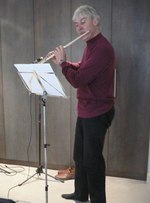 Since his international debut in 1988 he has performed in many parts of the world. He has issued several CD recordings and he is known particularly for his guitar arrangements and interpretations of Edvard Grieg's Lyric Pieces written originally for piano. Arne Brattland is an active chamber musician and currently works in several different ensembles including the Rodrigo Guitar Trio, Arctic Guitar Trio and in a duo with Swedish oboist Helen Rosing.